Congratulations, your Zionsville, IN home has an offer on it and you’ve made it all the way through pricing negotiation and on to the appraisal. You and your Zionsville, IN real estate agent have compared similar homes in your neighborhood and assume the appraisal will go through without a hitch. Unfortunately, what you thought was a done deal has been held up with an unmatched appraisal and it looks like your deal might fall through. This scenario seems pretty far fetched but it has been happening more often due to subjective decisions made by home appraisers. According to research provided by the National Association of Realtors, more than 1 out of 5 home real estate contracts are delayed because of disagreement over the appraisal. As reported by The Washington Post, a massive first-of-its-kind study followed 1.3 million individual appraisal reports from 2012 through 2015. They suggest when challenging an appraiser’s number to look at adjustments involving relatively subjective estimations – such as the appraiser’s opinion on the overall quality level of your house, its condition and location, and more. These subjective adjustments may lead to a much different appraisal on your Zionsville, IN home than you were expecting. According to the study, adjustments were made in 99.8 percent of all appraisals. Adjustments on objective features, such as living area, rooms, or car storage tended to not amount to much difference in pricing. However, adjustments involving more subjective matters triggered much bigger dollar changes, with an average adjustment of $15,000. That $15,000 could make or break your Zionsville, IN home sale so it is definitely something to be aware of. So, what to do if you receive bad news from the appraiser? Have your Zionsville, IN real estate agents take a look at the adjustments made on the subjective factors such as condition and quality. When you are ready to sell your Zionsville, IN home, contact an experienced Zionsville, IN real estate agent. 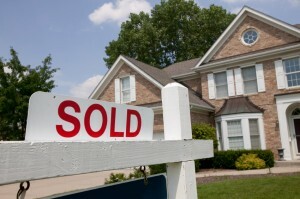 We can help you navigate the tricky waters of your home sale, including any appraisal issues. We hope to speak with you soon!